A couple of weeks ago, I traveled to an out-of-state academic conference. I don't go to out-of-state conferences very often; in fact, I had only been to two since starting grad school before this one (two years at the same conference in the same location plus one year as an undergrad). When it comes to packing for conferences, I will admit that I'm not a pro. I always second-guess what I choose to pack, especially because I have always needed an outfit to present in. However, Earth science-related academic conferences see a wide range of fashion--everything from suits and ties to parkas, worn-in jeans, and sandals (of course, sometimes with socks...haha)--so this lessens the burden of packing the "perfect" outfits a little bit. This time around, I packed only 16 everyday pieces (not including a t-shirt & leggings to sleep in, sweatpants, and workout gear). That may seem like a lot, but it includes two tops, two tees, two sweaters, a sweatshirt, a coat, a pair of jeans, a dress, two pairs of shoes, tights, jewelry, and my tote. 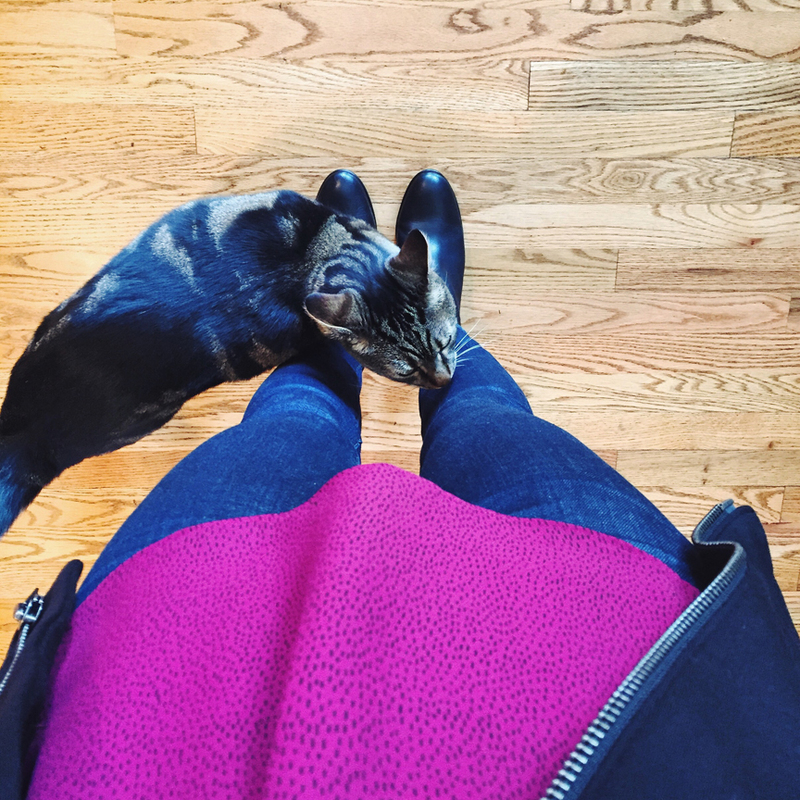 I noticed that when I pack for trips, I tend to pack layers, and this trip was no different. It's so easy to mix-and-match when you have a couple of tops, a couple of cardigans or light jackets, and everything goes together. When luggage space is limited, it's the best way to go. During my trip, I discovered a cool feature of the Stylebook app. (You may remember that at the beginning of September, I posted my current closet inventory and also noted how I had been using the Stylebook app. I love it!) Besides having a photographic inventory of your closet and outfits, you can also create packing lists! Brilliant, right? I always intend to make an actual list that I check off as I pack and then repack to come home, but it never happens; I rely far too much on my memory, which has been known to fail me one too many times (I forgot to repack my pair of sunglasses on this trip, ha). After you create and name your packing list, you'll see a page like this one above. What's great about the packing list is that you can either add items by adding the items individually and then the looks that incorporate them, or you can do what I did and add the looks first and it will automatically populate your packing list with the clothing in your looks! How cool, right?! I didn't make my Stylebook packing list until the end of my trip, but I was thoughtful enough when packing that I already knew my outfits ahead of time. (I actually put all of the looks together in Stylebook while on the plane to the conference!) In the notes section, I wrote down where I was headed/what I was doing and the weather to expect. Here are all of the items I brought with me! I stuck to a relatively cohesive color palette of burgundy, grey, and black, but I added in my cobalt dress for one of my poster presentations; my cropped navy sweater over that dress has become a go-to for academic conferences. My trench coat is the only coat I brought (thank goodness the weather cooperated! ), and my tote was one of my carry-on items on the plane. I stuffed it full with my laptop, notebooks, poster (it was fabric! ), my liquids bag, and a container full of cookies! 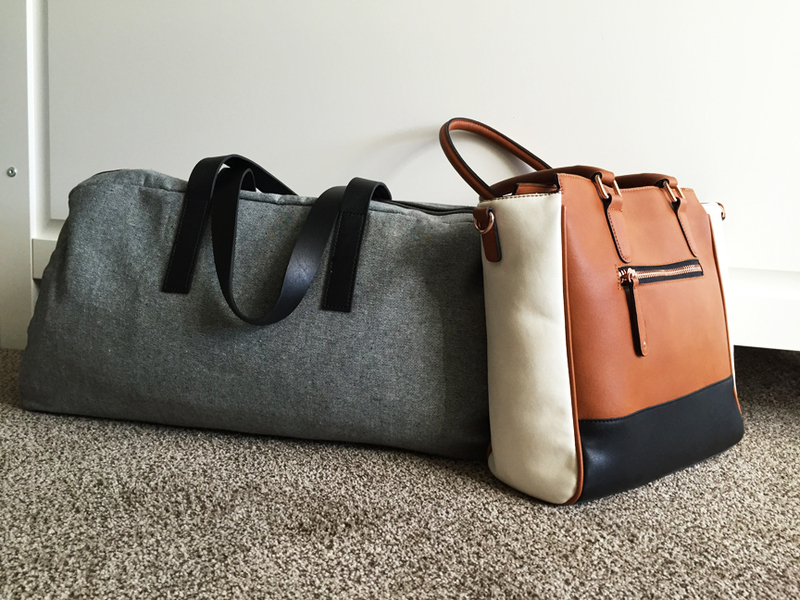 The rest of the items were either worn on the plane or fit into my Everlane weekender bag, as seen in the top photo.